It was home – Travel Much? This tweet makes Old Mamasan think. I do agree that “home” is a person, or several persons actually. I know that I am home for The Karate Kid and Sir Nerdalot – as they are home to me. But it’s more complex than that. They say that a house is just a house, and that is true – until you fill it with your own stuff and your own memories. Then it’s a home. Home can also be a place, a landscape, a town. Or a feeling. In 2006 I moved away from Longyearbyen, Svalbard. I still miss it. 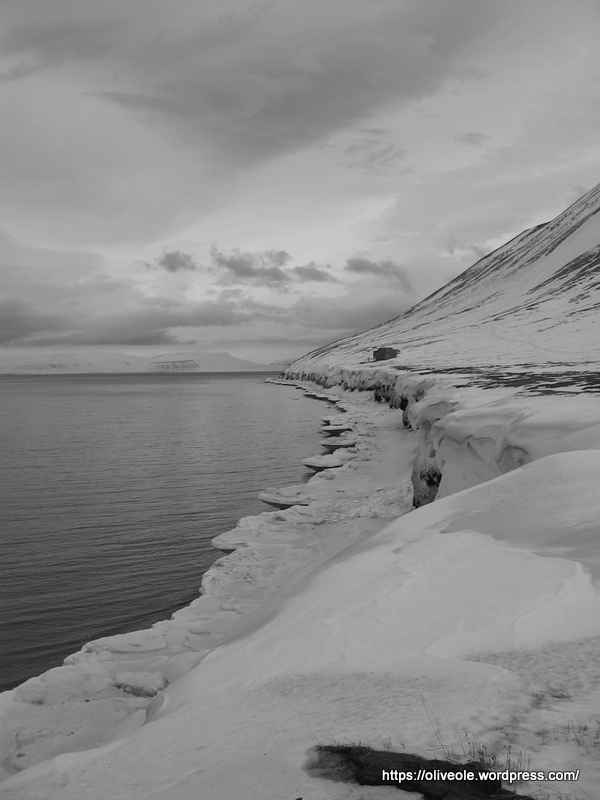 Not that I don’t feel at home where I live now, but Svalbard does hold a special place in my heart. I think it is a combination of the wonderful people I met up there, and the sometimes harsh and shifty weather, and the magnificent nature. Oh, how I love the mountains! Not to climb them, mount them, own them. But to look at. I loved looking at the mountains, the way the shifting light dressed them. No matter how cold and stormy it was; it was always warm and cozy indoors. Both at my own apartment, at friends apartments, at work, heck, even grocery shopping was cozy up there. These are troubling times at Svalbard. People are losing their jobs. Families have to move back to the mainland. And then more people might lose their jobs. My heart goes out to them who has to leave Svalbard. I fear the town might be abandoned. I moved voluntarily, and even though I do not regret it – I still miss it sometimes. It was home. Nice story and love the slideshow. What a musical beauty! It is beautiful. Sad that people may have to leave – it would be a way of life that could not be found elsewhere I imagine. Quite lyrical. You can feel the love! Hope you can stop smoking by the way. Research supplements! Cold turkey worked for me. Also drink aloe juice and every detox drink under the Northern sun. Avoid caffeine and take vit B! Thanks for the suggestion! Detox won’t work for me as I know its hoax and thus the placebo will not come into play.